Good things come in small packets and this sweet is an example of that! 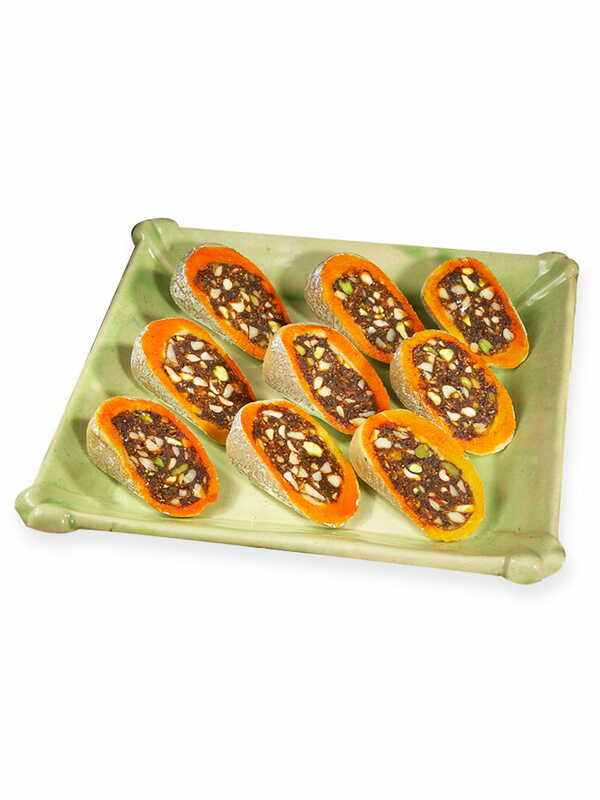 With the goodness of numerous dry fruits and the extra special kesar (saffron), this sweet is perfect for special occasions. The dry fruits are made into a yummy mixture and then encased in an equally delicious covering, in such an appetizing manner that your mouth waters at the very sight of this sweet! Jay Hind sweets, based in Admedabad constantly try to come bring new and interesting recipes to you, so that you are never bored with the usual sweets! Now by buying it online from Foodfeasta.com, you can have these sweets delivered directly to your homes!